How awesome is this amazing poster and tote from my Brooklyn brunch mates? 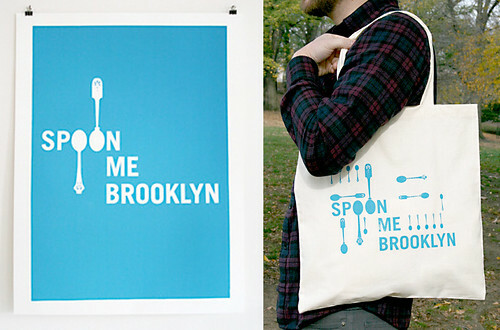 Spoon Me, Love Me is a collaboration between friends and talented artists Caroline Hwang and Bryn Smith. Pick up their goods online or at the Bust Craftacular this coming weekend.